The Westfield Avenue work has begun! Did you notice the ladders? The tarps? Did you wonder what we were up to? We’re thrilled to report that spring is on the way – and that contractors have arrived at the museum! 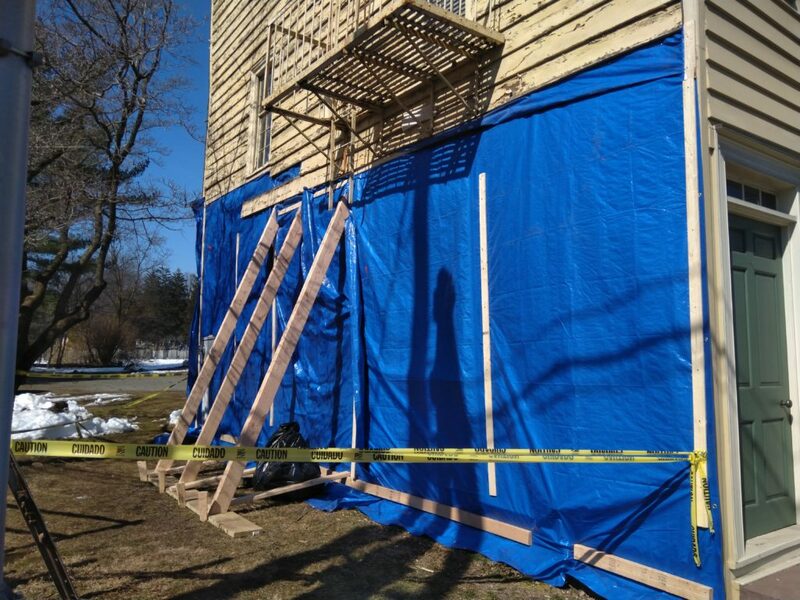 As of March 8, the restoration of the Westfield Avenue side of the building has begun! Over the course of the next few months, you’ll be able to spot progress when you drive by the corner of St. Georges and Westfield Avenues. Workers have started by removing the siding, in preparation for evaluation by the engineer, after which the structural repairs will begin. We’d like to thank all of our supporters – from members to our county, state, and foundation funders – who have made this phase of the work possible, and whose support the building counts on!